Fast forward to earlier this month when, as highlighted in this prior post, the DOJ announced resolution of criminal charges against former SBM Offshore executive Anthony Mace and Robert Zubiate for their roles in a scheme to bribe foreign government officials in Brazil, Angola and Equatorial Guinea. a criminal information against SBM Offshore charging conspiracy to violate the FCPA’s anti-bribery provisions resolved through a deferred prosecution agreement. 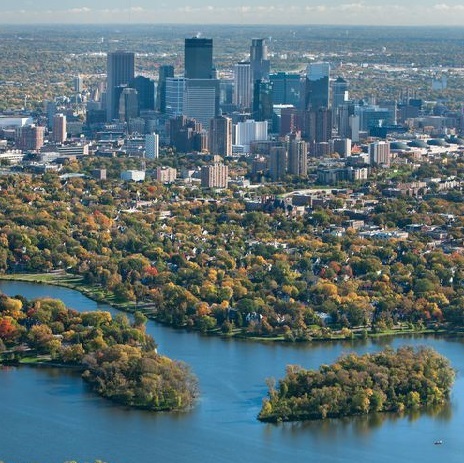 This post summarizes the approximate 170 pages of resolution documents. SBM is described as a Texas-incorporated wholly-owned subsidiary of SBM Offshore. According to the information, “in connection with SBM USA’s and SBM’s bribery scheme, SBM USA obtained or benefitted from at least $13.2 million in proceeds from one or more projects with Petrobras. The criminal charge against SBM USA was resolved through a plea agreement in which the company plead guilty to conspiracy to violate the FCPA’s anti-bribery provisions. The plea agreement sets forth an advisory guidelines fine range of $3.38 billion to $6.76 billion, however the companies agreed that the appropriate criminal fine was $500,000 and criminal forfeiture of $13.2 million (with these amounts being included in the $238 million resolution agreed to by SBM Offshore in its DPA). As is typical in corporate FCPA resolutions, SBM USA agreed to a so-called “muzzle clause” in which agreed that it “shall not, through present or future attorneys, officers, directors, employees, agents or any other person authorized to speak [on its behalf] make any public statement, in litigation or otherwise, contradicting acceptance of responsibility” as set forth in the plea agreement. “Beginning by at least in or around 1996 and continuing until in or around 2012, SBM Offshore and its co-conspirators … knowingly and willfully conspired with each other and others known and unknown, to cause SBM to make corrupt “commission” payments to sales intermediaries and others, knowing that a portion of those “commission” payments would bused to bribe foreign officials in Brazil, Angola, Equatorial Guinea, Kazakhstan, Iraq, and elsewhere to influence those foreign officials for the purpose of securing improper advantages and obtaining and retaining business with state-owned oil companies in Brazil, Angola, Equatorial Guinea, Kazakhstan, Iraq and elsewhere. At various times, [various executives] oversaw and executed SBM’s worldwide bribery scheme. In total, SBM made at least $180 million in corrupt “commission” payments to intermediaries for the purpose of obtaining or retaining business from state-owned oil companies in Brazil, Angola, Equatorial Guinea, Kazakhstan, and Iraq; and earned or expected to earn at least $2.8 billion in gain from the work it obtained from those state-owned oil companies. In furtherance of the bribery scheme, SBM gave its marketing and sales staff discretion to pay smaller bribes directly to foreign officials, such as for jewelry or electronics, while requiring high-level approval for larger bribes. In addition, SBM regulatory sent foreign officials “thank you” money after successfully winning projects, whether or not such payments had been agreed to before SBM bid on the projects. SBM paid a number of bribes through corrupt sales intermediaries by paying them a “commission” knowing that these intermediaries would use a portion of such “commissions” to fund the bribes. SBM included a standard percentage for “commission” payments into its template for estimating project costs. In addition to paying monetary bribes to foreign officials, SBM also paid for foreign officials’ travel to sporting events and provided these foreign officials with cash of $1,000 or more as “spending money.” In addition, SBM paid for the tuition and living expenses of foreign officials’ relatives, and employed foreign officials’ relatives, including some relatives who did not perform satisfactorily for the positions held or were overpaid for the work performed. SBM maintained detailed records related to SBM’s worldwide bribery scheme in a safe in the office of [executives] in Monaco, to which only [the executives] and their personal assistants had access. These records included a spreadsheet generated by [an executive] reflecting approximately $16.42 million in “commission” payments SBM made [to an intermediary] which [the intermediary] subsequently paid to officials in Equatorial Guinea as bribes. The Brazil portion of the SBM Offshore information is generally the same as summarized above in connection with SBM USA’s information. “SBM also gave things of value to Sonangol officials in the form of gifts, travel, and entertainment, including paying for travel to sporting events. “From in or around 2003 through in or around 2009, SBM knowingly conspired to pay bribes and attempted to pay bribes [through intermediaries] to officials within the Kazakhstan government, for the purpose of securing an improper advantage and assisting SBM in its business in Kazakhstan. SBM attempted to pay bribes to at least one KazMunayGas officials at least one Company 1 employee. [KazMunayGas is described as Kazakhstan’s state-owned and state-controlled oil company, controlled by the Kazakh government that performed government functions. Company 1 is described as a subsidiary of an Italian oil and gas company in which the government of Kazakhstan granted the company a concession as the operator of the Kashagan oil field development in Kazakhstan. In this capacity, Company 1 was acting in an official capacity for or on behalf of KazMunayGas in awarding contracts]. From in or around 2009 through at least in or around 2012, SBM knowingly conspired to pay bribes and attempted t pay bribes through [an intermediary] to officials within the Iraq government for the purpose of securing an improper advantage and assisting SBM in obtaining and retaining business from the government of Iraq. SBM attempted to pay bribes to at least two Iraqi officials within SOC. [SOC is described as South Oil Company, an Iraqi state-owned and state-controlled oil company, controlled by the Iraqi government that performed government functions.]. The criminal charge against SBM Offshore was resolved through a DPA in which the company admitted, accepted, and acknowledged that it was responsible under U.S. law for the acts of its officers, directors, employees, and agents as set forth in the Information. “(a) the Company did not receive voluntary disclosure credit because, although it voluntarily brought the conduct to the attention of the Fraud Section and to Dutch authorities, the disclosure did not occur for approximately one year and thus was not timely. (f) the company engaged in remedial measures, including the following: of the three employees who had engaged in the misconduct and who remained with the Company when the Company learned of the misconduct, terminating two employees and demoting the other; seeking and obtaining the return of corrupt funds from agents; terminating longstanding agency relationships with corrupt and questionable third parties; stopping all payments to all of its agents in order to engage in a complete review of its then-current agents, resulting in a significant reduction in the Company’s total number of agents; hiring a full-time Chief Governance and Compliance Officer, with authority to raise issues directly to the Supervisory Board or Audit Committee; engaging an independent company to design a new compliance program; creating a whistleblower hotline; training its sales and marketing personnel; and completing 3 years of monitoring under the supervision of Dutch authorities. (l) accordingly, despite the nature and seriousness, pervasiveness, and scope of the offense, due to the ability of the Offices to prosecute the culpable individual wrongdoers, the significant collateral consequences that a parent-level guilty plea would cause, the significant cooperation and remediation undertaken by the Company, the fact that the Company reached a resolution with the Dutch authorities and has ongoing efforts to resolve with the Brazilian authorities involving certain overlapping conduct (which the Offices have taken into account in the Company’s penalty), the avoidance of a penalty that would substantially jeopardize the continued viability of the Company, and the other considerations outlined [above] the Offices have determined that a subsidiary guilty plea, a parent-level deferred prosecution agreement, and an aggregate discount of 25% off of the bottom of the the otherwise-applicable U.S. Sentencing Guidelines fine range is sufficient but not greater than necessary …”. Robert Luskin (Paul Hastings) and John Buretta (Cravath) represented SBM Offshore. 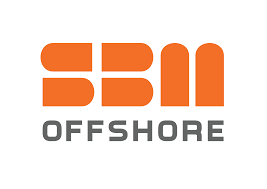 See here for SBM Offshore’s release. “Paul Bond [formerly a Senior Sales Manager with SBM Offshore] and Stephen Whiteley [formerly a Vice President with SBM Offshore and Unaoil’s General Territories Manager for Iraq, Kazakhstan and Angola] have both been charged with conspiracy to make corrupt payments to secure the award of contracts in Iraq to Unaoil’s client SBM Offshore.